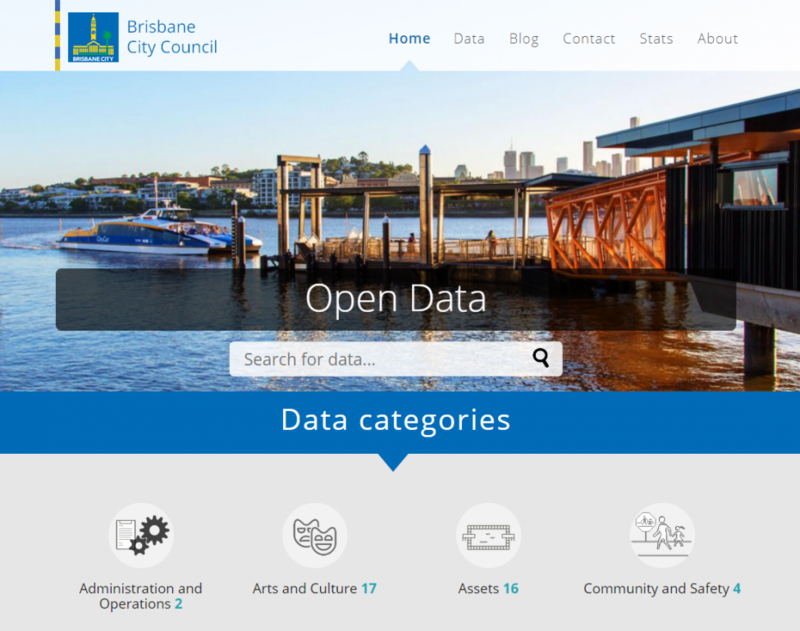 The Brisbane City Council open data portal was created with the aim of providing an easy way to find, access and reuse the city’s public datasets. 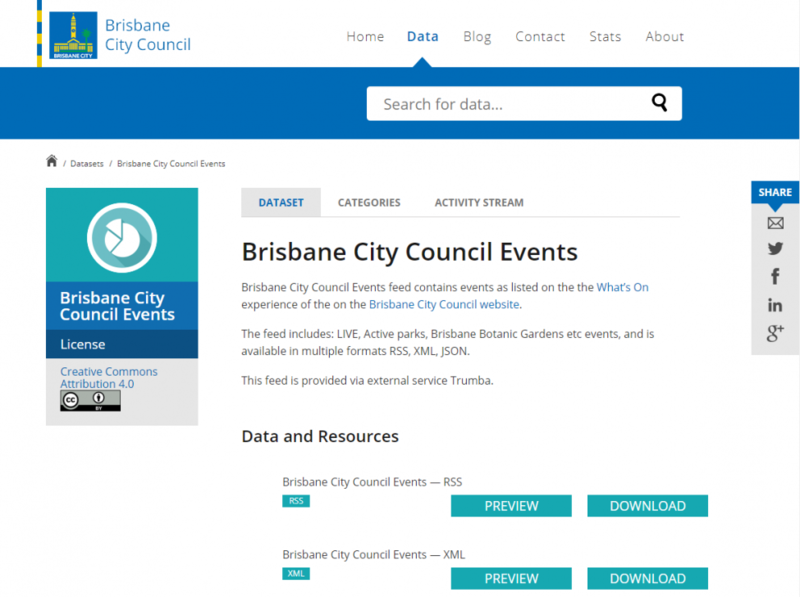 The city wanted residents, visitors and the developer community to be able access the data that city maintains, and to use that data however they see fit – free of charge. 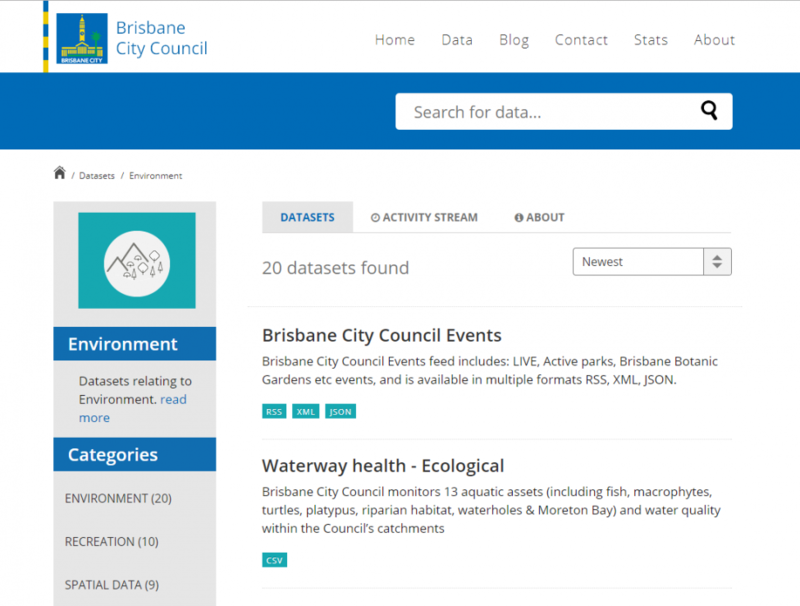 The datasets are available in a variety of formats (.csv, .kml, .html etc.). 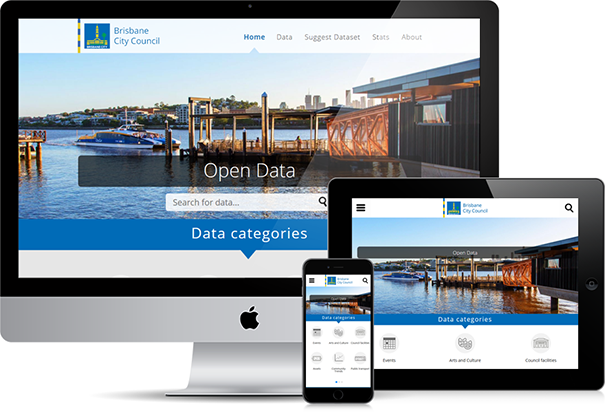 Read more about the initial work to establish the Council’s open data portal.